If you’re a coffee lover, this is an event for you! 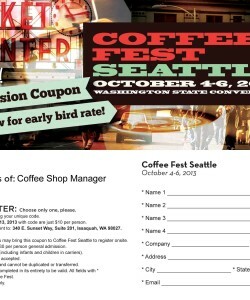 Attend the Seattle Coffee Fest 2013 and enjoy a discounted admission with this SEATTLE COFFEE FEST DISCOUNT ADMISSION COUPON. That’s right! You can enjoy everything coffee and more. Coffee is a staple used in a variety of things, and you would be surprised to know what the coffee bean can do. You can experience different flavors and new introductions at this fest. It’s coming up real soon so you want to make sure you’ve got your admission taken care of. I’m sure this will be a huge event, as there are coffee lovers all over. But you should know, Coffee Fest isn’t just for coffee, it’s also for tea, and you know there are so many different brands and varieties of teas available it can make your head spin. It’s the tradeshow for the business, and if you’re thinking about opening a coffee shop or tea place, you would want to make sure and attend. You will become acquainted with wholesalers, distributors and more. It’s all about taking care of business the right way and what better way to do that than to be in the midst of things. You may actually learn a thing or two while you’re at it. Tradeshows are perfect for teaching you processes and how to make things in different ways. Looking for a new coffee or tea concoction? 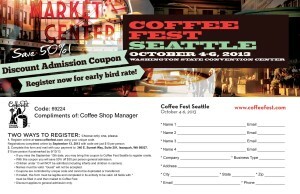 You’ll probably find it here at the Coffee Fest. 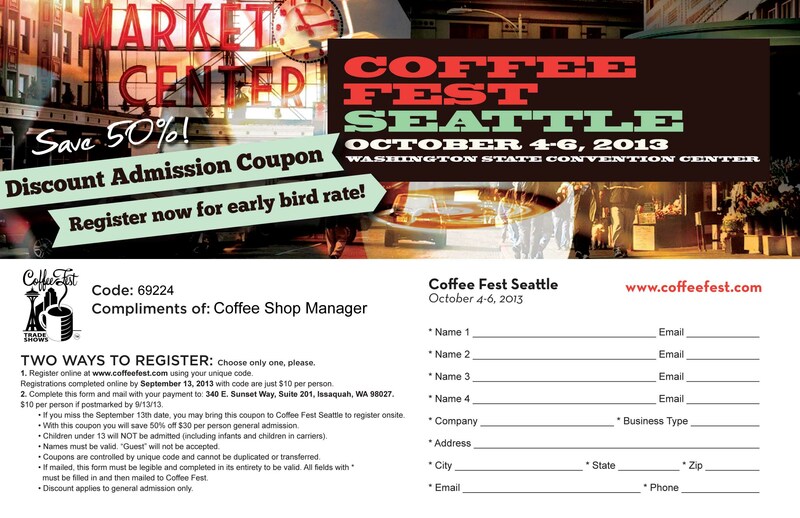 And do know that this is a very big deal and they have different Coffee Fest events all over the country. That’s right. So, you’ll be in great company learning about the business, and getting new flavors under your belt. Get on down there and have some fun!